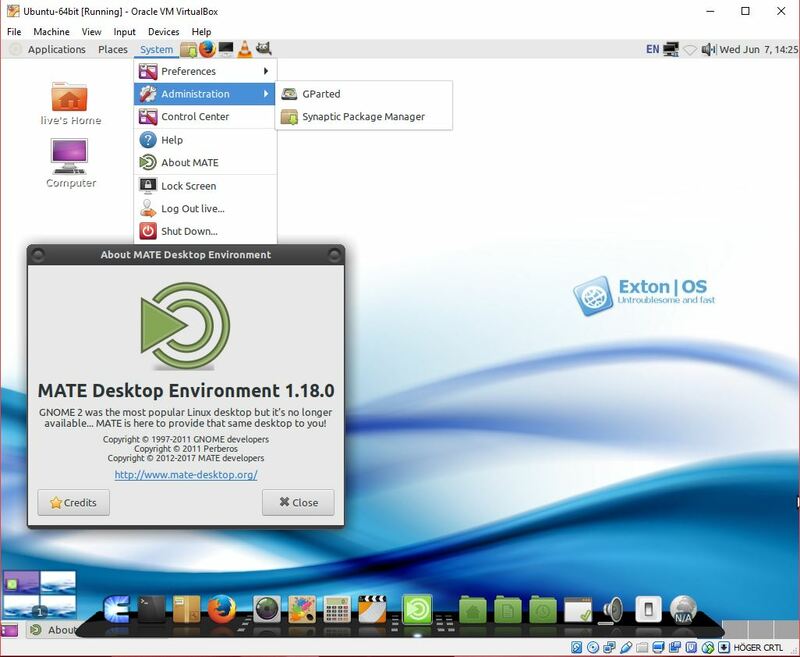 Softpedia 170612: “After informing us of the release of a new build of his Android-based RaspAnd operating system for Raspberry Pi 3 and Raspberry Pi 2 single-board computers, Arne Exton announced the availability of Exton|OS Build 170609. 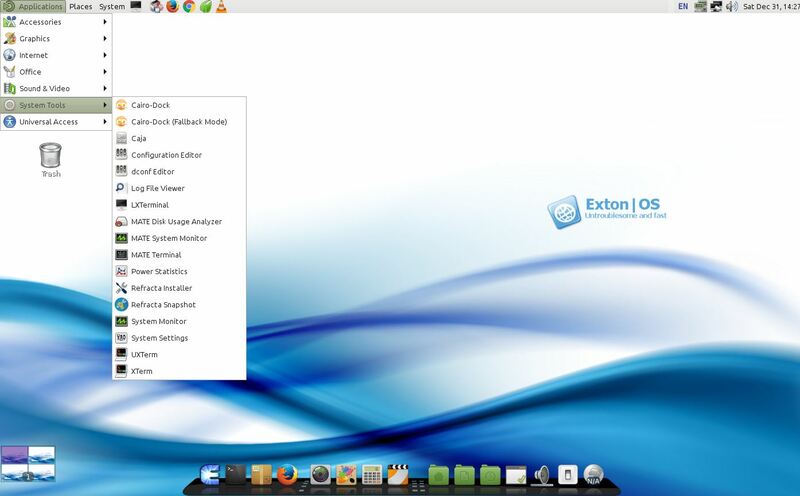 Coming about half a year after the previous update, Exton|OS Build 170609 seems to be a massive release that moves to the latest Linux 4.11 kernel series and updates the MATE desktop environment to version 1.18. 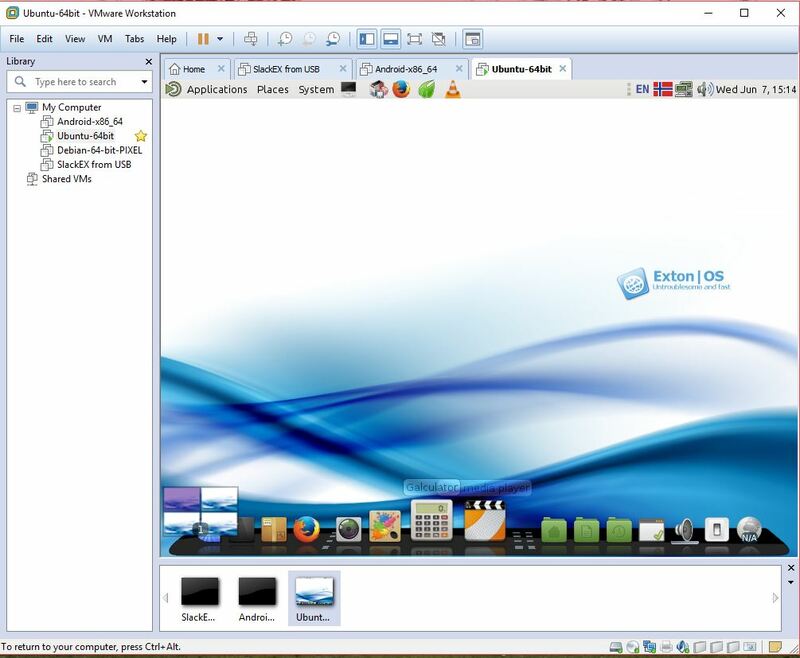 All the core components in Exton|OS Build 170609 have been updated to their latest version as of June 7, 2017. A significant change in this release is that Mozilla Firefox replaces Google Chrome as default web browser because it’s now possible to use it for watching Netflix movies out-of-the-box. Popular apps like VLC Media Player, GIMP and GParted are also included, and you can study the full package list to see what’s inside. 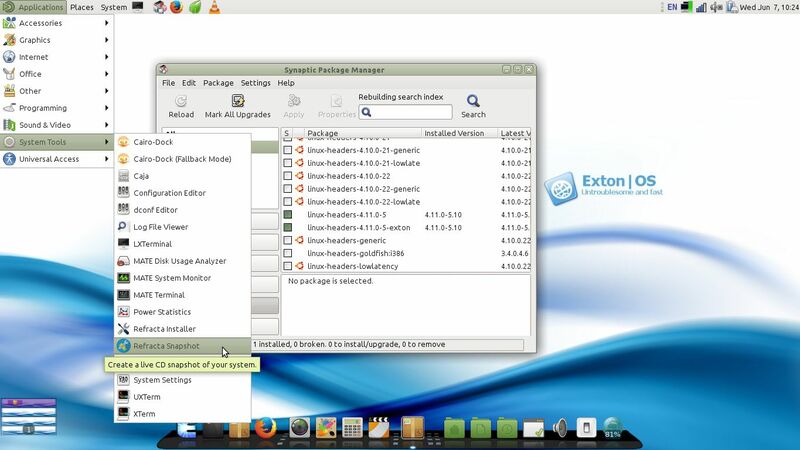 I gave a try to ExTON OS yesterday.Lean and fast.I tried it as live distro. Mate desktop.Text of menus seems to be a little blur. I tried to find the right font > Look and Feel > Fonts but I didn’t. 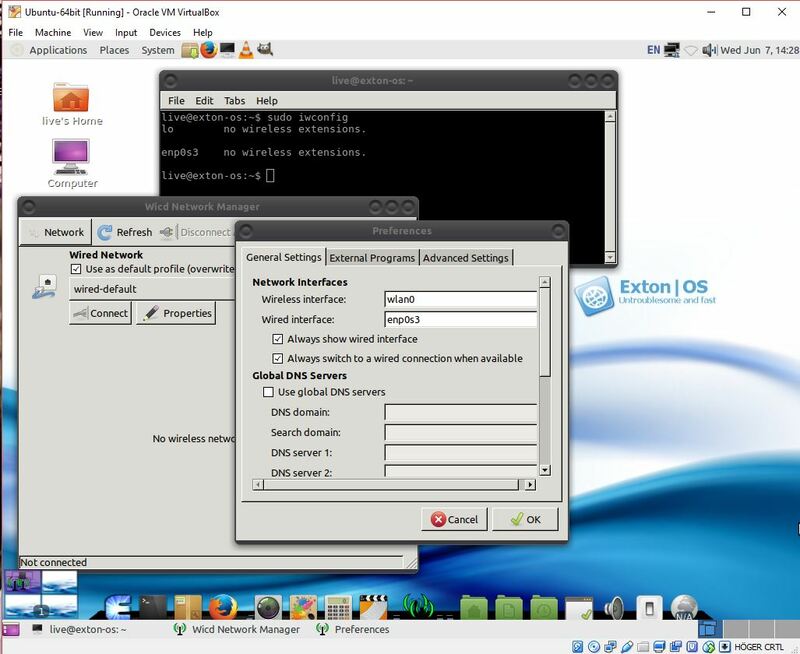 I suffered the same issue experimenting with Xubuntu and Slackware.The PDF document viewer does not run,only Atril. VLC was not able to open a mp4 file,but mpv and SmPlayer did it perfectly.CPU goes from 13%-22% with mpv and Smplayer running and Midori browsing net.Memory used during this peak was 2 GB. But as I live mode I think not bad at all.Fast and responsible.My first experience with Cairo dock.Lovely.Refracta seems working well also other softwares.I did not find a button to hit in famous Ubuntu’s Softwares and Updates, to complete update or upgrade, but I provoke a change and system began to sync with server.I did not found Software center in live distro;maybe in installed version exists.In live mode, audacious, clementine,qmpp,deadbeef or another mp3 player was not installed.But mpv(my favorite) can play everything.Also no any Office program was installed in live mode.Most of live distrios came with LibreOffice, GNU Nnmeric or AbiWord.The only complain. Sound ! 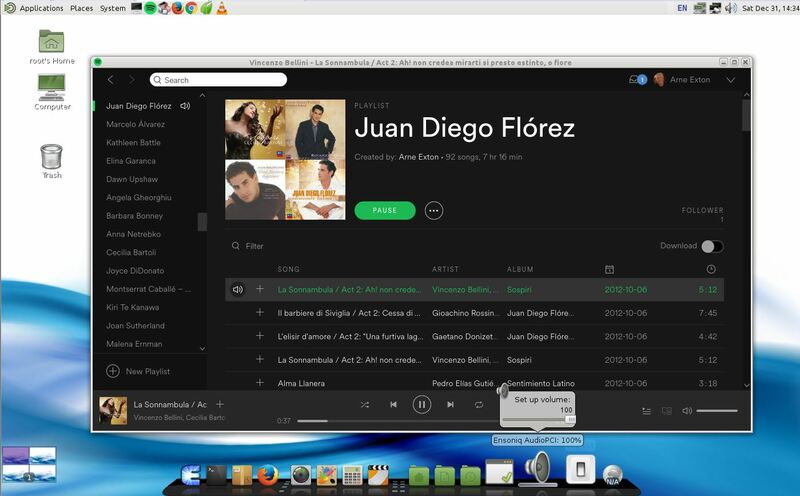 I could not arrived to hear nothing during playing a movie or a song.I tried also Alsamixer as suggested, but no sound at all.I had not experienced this problem with any of Linux distros that I have tried. No other complains. Very good job man!Thanks for you hard efforts.